To ignore the accepted rules of design can be risky but then again risk can deliver its rewards! 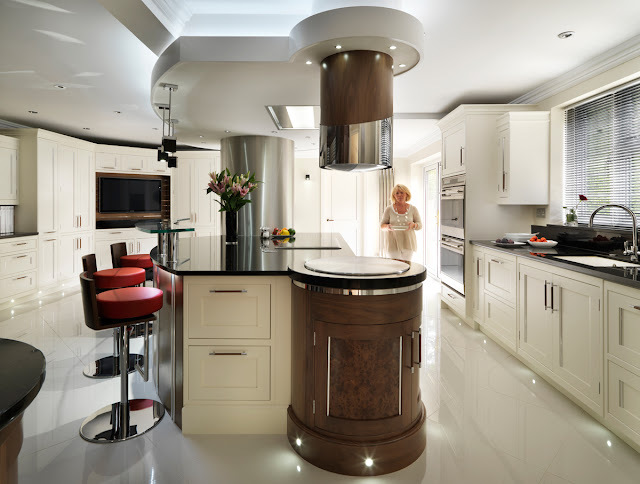 This design defies both convention and gravity but in doing so reshapes our expectations! 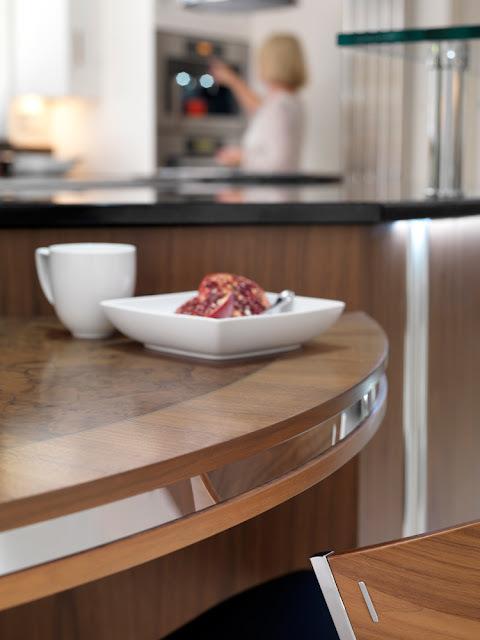 Check out the half bowl worktop cut in the sink area – has a kitchen design super hero signed their work!? Exaggerated lines, colours and features make this a deceptive design! 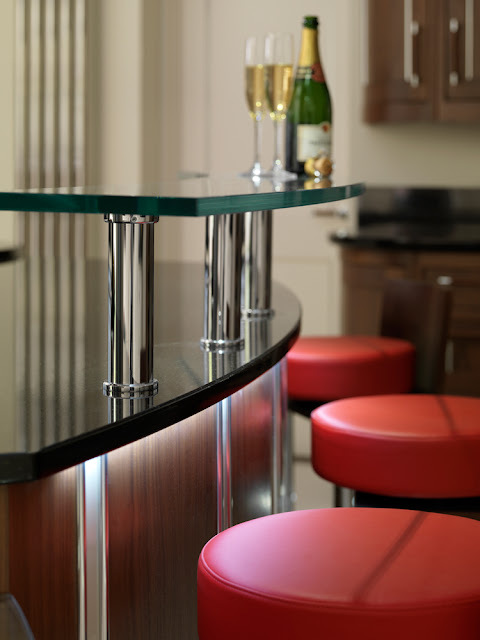 Strong feature colours are used to attract attention away from the benign, architecturally absorbed cabinetry! The effect is to camouflage the functional identity of the furniture and create some artistic impact! The unique foot well in the floor allows for an interesting subterranean dining experience but it may prove tiresome to those serving the food!! 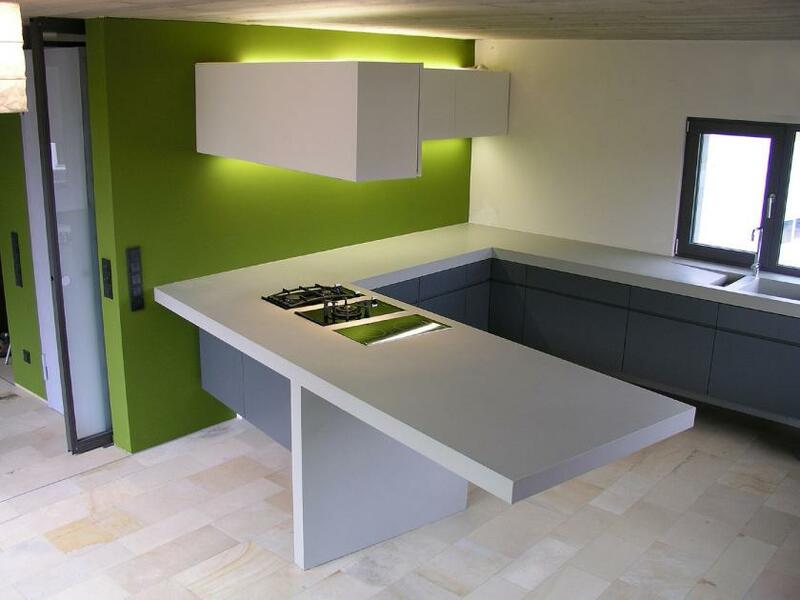 The power of kitchen design has lain dormant, entombed in an architectural catacomb that has restricted its development and regurgitated a legacy of design submissiveness! Recently released the kitchen is beginning to wreak its revenge, absorbing its surroundings and rendering furniture and accessories obsolete! This magnetic vortex of design influence is helping to reshape how we live and how home life is designed. If you think that your living space is missing something it most likely is! A kitchen! 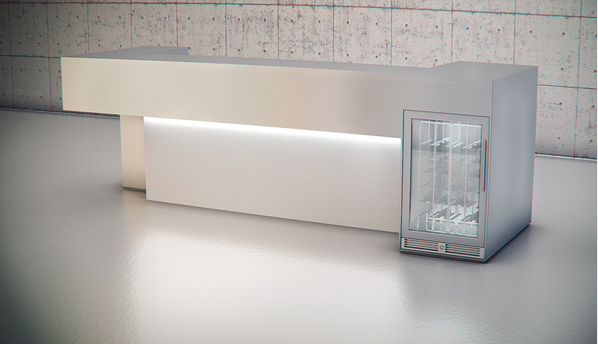 In order for kitchen design to keep pace with the evolution of human existence we must consider new ideas and innovations. By rejecting the surrounding architecture as the divine design influencer kitchen designers are free to explore diverse shapes and forms which allow the kitchen to perform its primary functional role but also encourages new interior design and social trends. 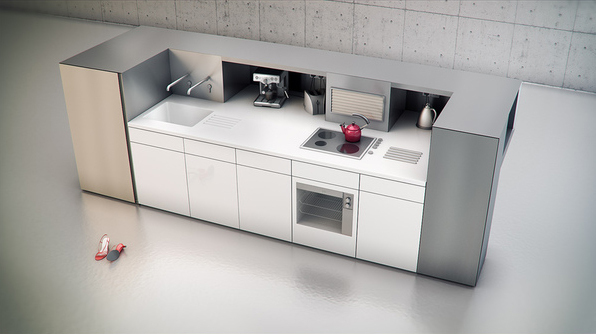 This kitchen is a play with shapes, a simple combination of forms which helps to maximise functional performance while delivering aesthetic desire in a compressed form. 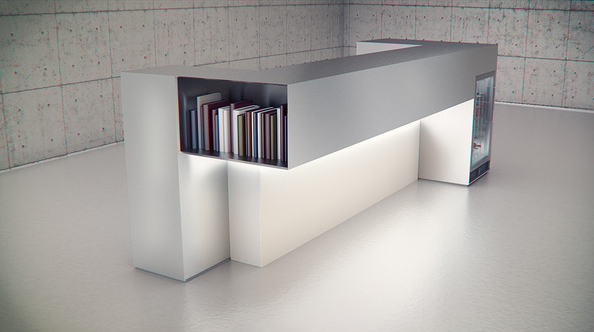 By Including a book shelf this free standing design even manages to consider how it can replace traditional living room furniture. 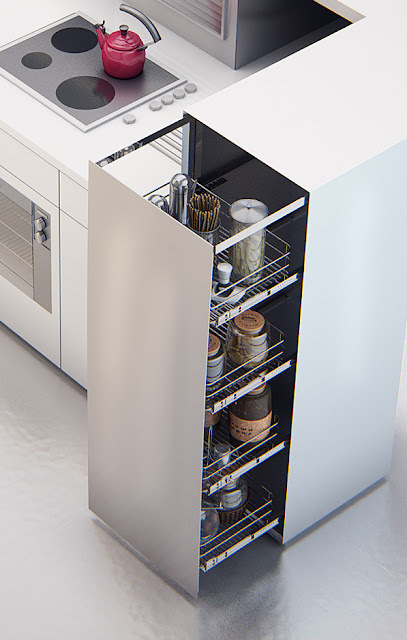 It’s reassuring to know that even though our living spaces and kitchens are becoming more compressed designers can still find room for the ever essential wine cooler!! Cheers!! The Kitchen – A Divine Architectural Intervention! 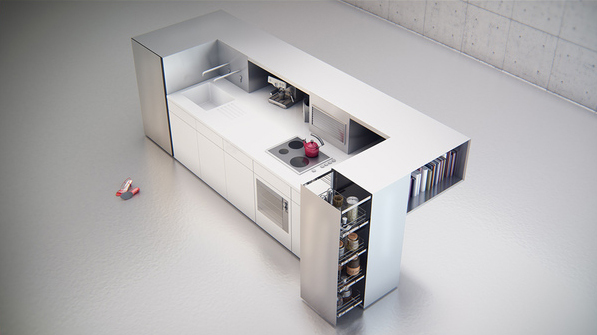 Can you define where the kitchen stops and the architecture begins? This design uses a seamless embrace to create a contemporary architectural unity that is disguised amid pastel colours and warming textures! The sequencing of layers creates drama within the design right from plinth to ceiling level allowing the designers to explore texture, colour, form and light to maximum effect. The scale of the room is impressive and The Mogul is convinced that the brief suggested that the entire house should become the kitchen reducing the need or desire to visit any other room. 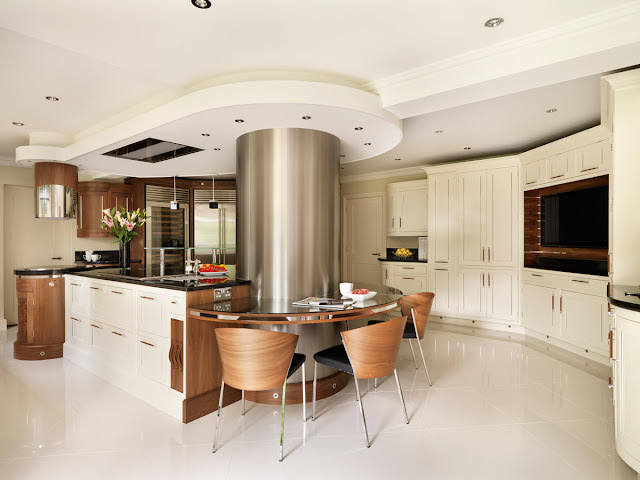 The architecture has been absorbed by the kitchen and has been granted a vital role in delivering the Holy Grail of kitchen design; A kitchen that is both contemporary and safe, providing a wow for now and design longevity into the future. 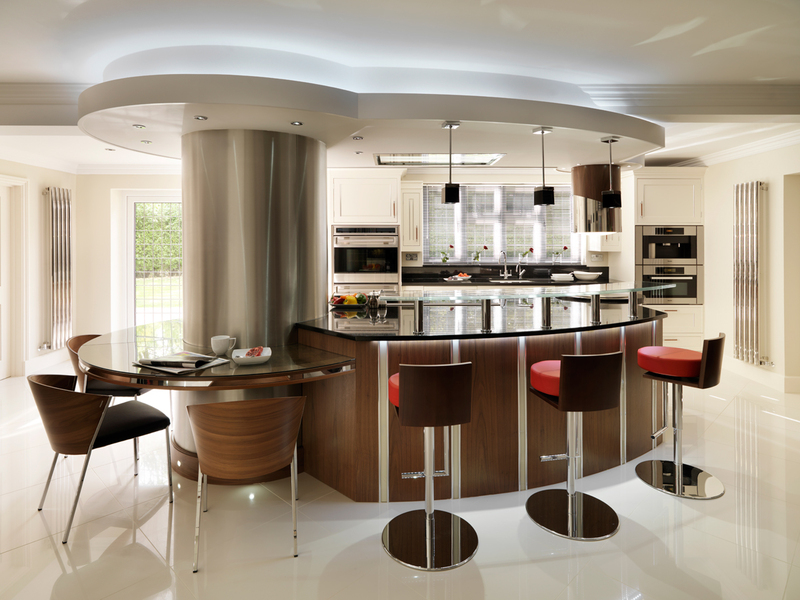 This design also displays a trend for 2012! 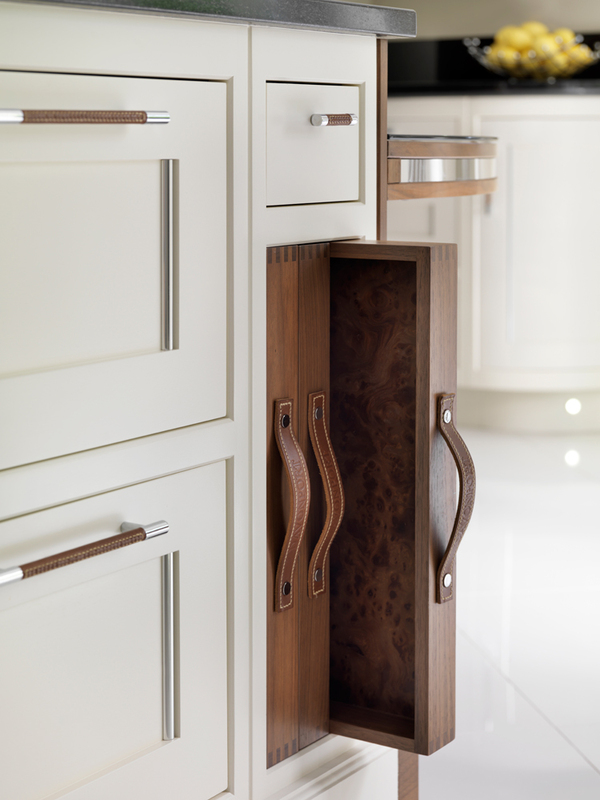 Polished chrome detailing mixed with wood veneer and paint! 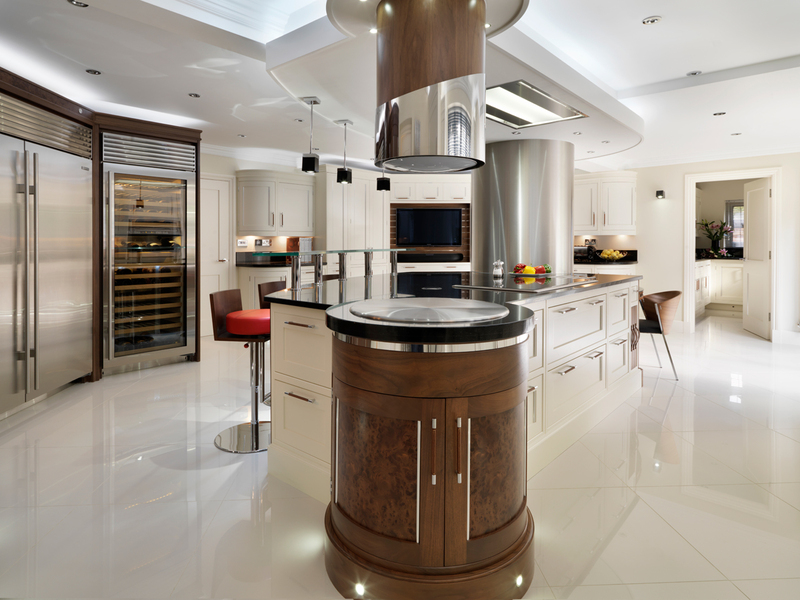 Hats off here because this kitchen is divine! !